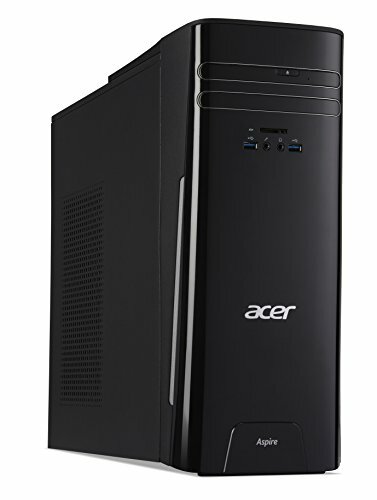 Purchase Acer Aspire Desktop, 7th Gen Intel Core i3-7100, 8GB DDR4, 1TB HDD, Windows 10 Home, TC-780-ACKi3 at Discounted Prices ✓ FREE DELIVERY possible on eligible purchases. 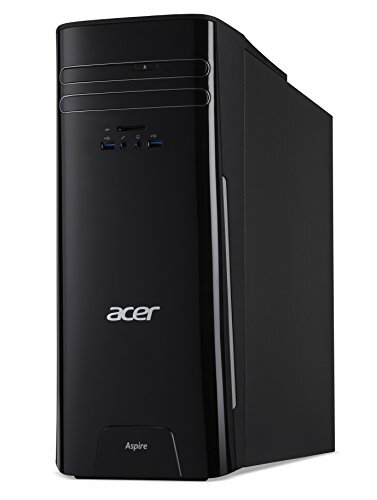 Acer Aspire TC-780-ACKi3 Desktop PC comes with these specs: 7th Generation Intel Core i3-7100 processor (3.9GHz), Windows 10 Home, 8GB DDR4 2400MHz Memory, Intel HD Graphics 630, 8X DVD-Writer Double-Layer Drive (DVD-RW), 1TB 7200RPM SATA3 Hard Drive, Digital Media Card Reader -Secure Digital (SD) Card, High Definition Audio with 5.1-Channel Audio Support, 3 - USB 3.0 Ports, 4 - USB 2.0 Ports, 1 - HDMI Port, 1 - VGA Port, Gigabit Ethernet, 802.11ac Wi-Fi, Bluetooth 4.0 LE, USB Keyboard and Mouse, 18.43 lbs. 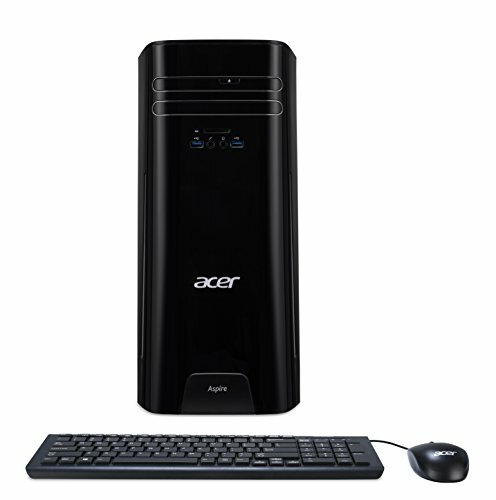 | 8.36 kg (system unit only), 1 Year Parts and Labor Limited Warranty with Toll Free Tech Support (DT.B89AA.024).